When it comes to rooftop dining, very little compare to the juggernaut that is Marini’s on 57. It houses an Italian restaurant, a whisky lounge, and a rooftop bar. What makes Marini’s on 57 all the more enticing to its guests is its up-close-and-personal look of the Petronas Twin Towers. 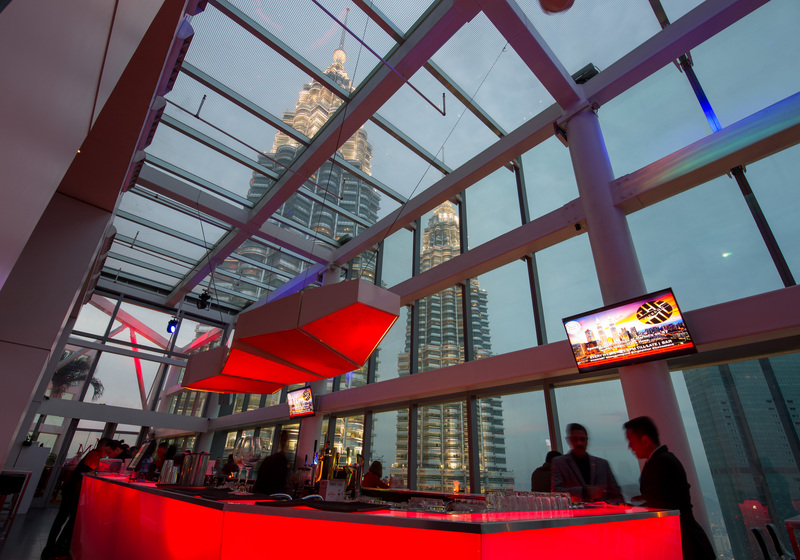 Its rooftop bar in particular offers an ideal look of the Petronas Twin Towers, making it a stone’s throw away from your grasp. Resting 267m above sea level, Marini’s on 57’s rooftop bar is one of the highest in Kuala Lumpur, giving you an unobstructed view of the panoramic city skyline. A view to die for isn’t the only thing the rooftop bar at Marini’s on 57 has to offer though; it is also the latest bar to introduce a cocktail that implements the use of bamboo charcoal. 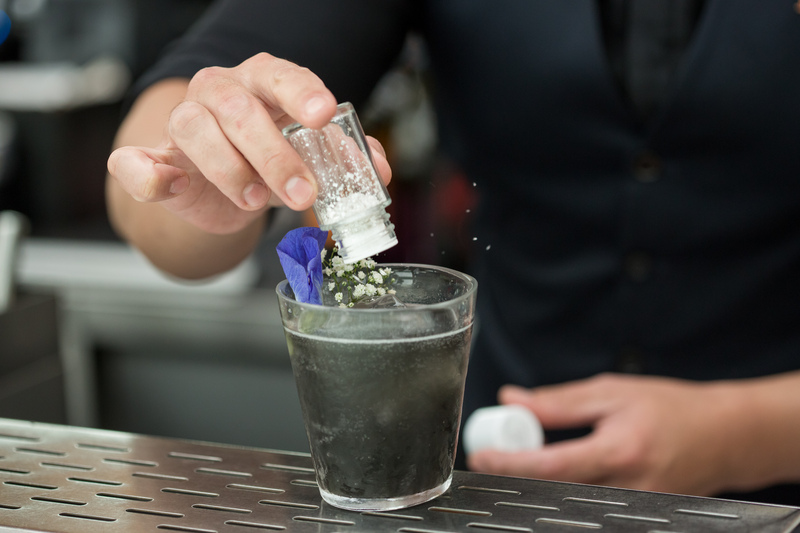 Known as the Absolut Black Diamond, it incorporates the use of bamboo charcoal powder blended with Jameson whisky and lemon juice. It is then topped up with ginger ale and alongside it sits baby’s breath and edible silver flakes for an added touch of elegance. Already known for its earthy and strong flavour profile, the bamboo charcoal powder within the Absolut Black Diamond gives off a rich taste and smooth texture while remaining refreshingly sweet throughout. 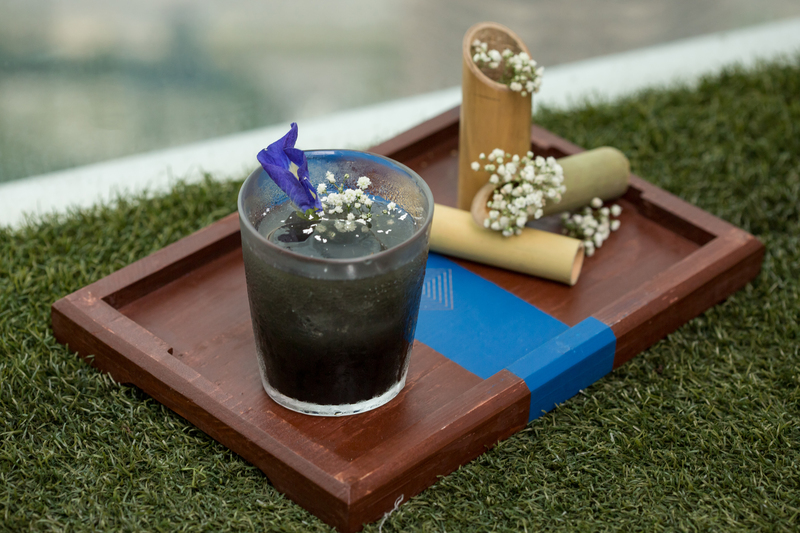 With bamboo charcoal becoming an increasingly common ingredient to have in your food, it was only a matter of time before it made an appearance in cocktails. The Absolut Black Diamond focuses on the core flavour profiles of the cocktail itself, gratifying towards a subtle zest, making it an easy cocktail to drink. Balance is key when it comes to making a good cocktail and the Absolut Black Diamond manages that perfectly. 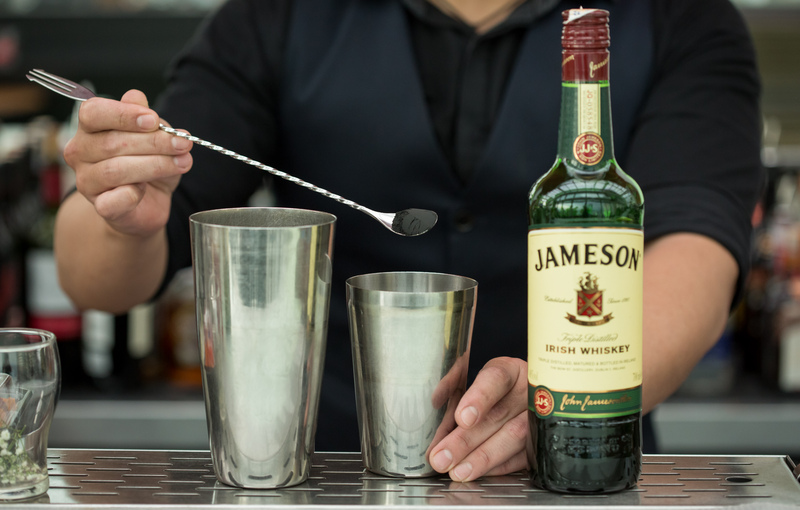 With the use of Jameson whisky and lemon juice, it allows the natural smoky taste of bamboo charcoal to complement both the ingredients without being too overpowering, thus making it that much easier to enjoy. The addition of ginger ale also aids in keeping the balance, while providing a certain je ne sais quoi. 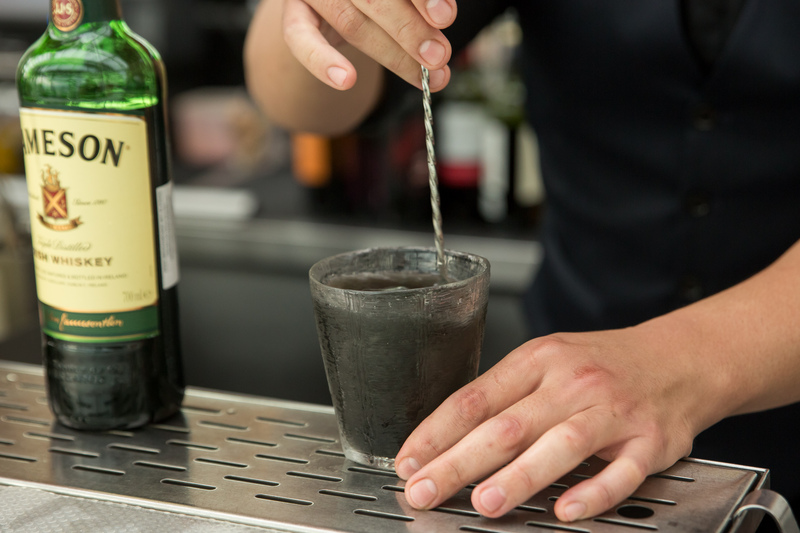 While Marini’s on 57 is known for its cocktails, this will be the first time it experiments with an ingredient like bamboo charcoal. Described as spirited, the Absolut Black Diamond oozes class and opulence thanks to its bright taste, which will mellow down to a smooth, buttery flavour. 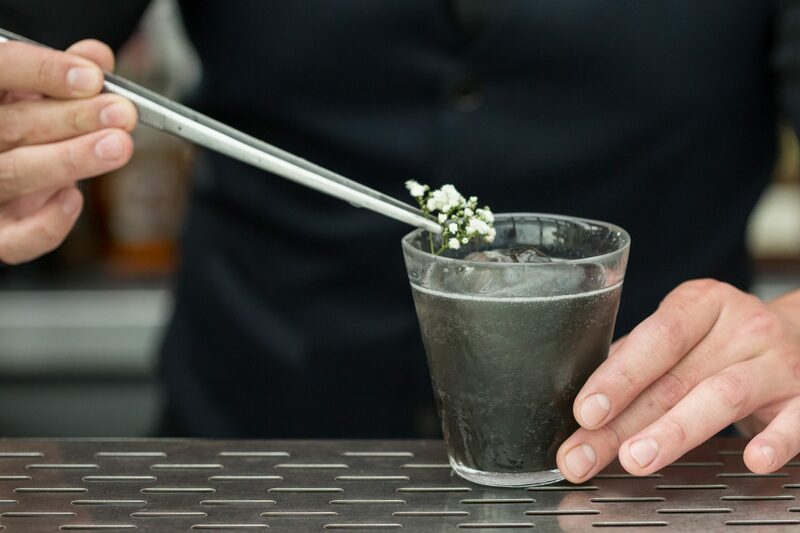 All said and done, the Absolut Black Diamond is a rich, smooth, and luxurious cocktail that leaves a tingling sensation long after it’s consumed. If you’re looking to treat your palate to a delectable cocktail, you should definitely give the Absolut Black Diamond at Marini’s on 57 a try.